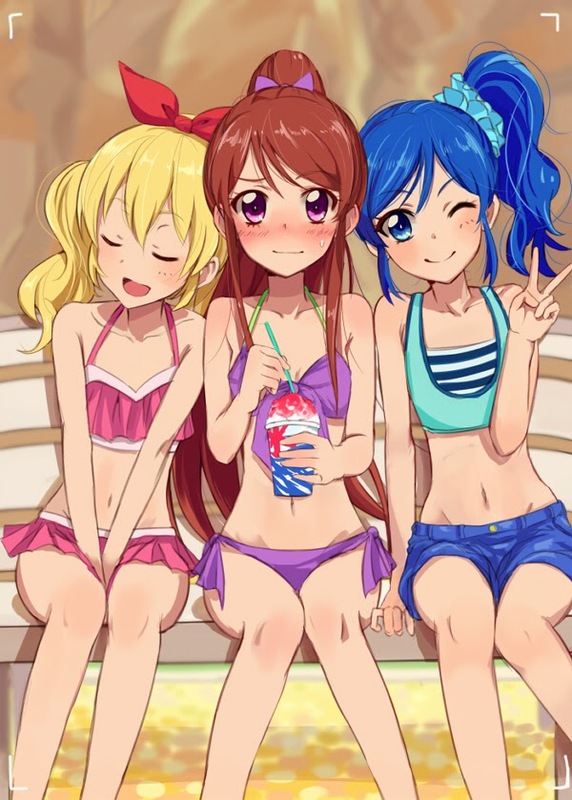 Ichigo Hoshimiya, Ran Shibuki and Aoi Kiriya. The wives of Mitakihara Magi fullback Ian McKinley, defensive tackle Ron Hase and strong safety Shiroyuki Kaname are going to do some scouting on the Oklahoma Sooners this week. Seniors Ichigo Hoshimiya, Ran Shibuki and Aoi Kiriya have been picked by the Magi football team to scout the Sooners in their Bedlam game against the Oklahoma State Cowboys in Norman, Okla. Kiriya was the Homecoming Chair this year. "It's nice to do more work for the football team, and I know that Oklahoma are a really good team to watch," said Kiriya. "This is really special because I get to travel and watch a rivalry game that could determine who we face in January. Oklahoma could be that big hurdle in the way, and that's why we're paying attention to this one. "It's not often I get to travel this far a distance," said Shibuki. "As a matter of fact, this is the first time that I get to do a scouting mission: to evaluate an opponent and file a report. The key here is not to get distracted with everything that's going on in Norman, Okla. So I'll treat this like a little bit of a vacation, somewhat. Gonna be a lot of fun." "Ian thought that this would be a good opportunity for me to see up close the opponents Madoka face on a constant basis," said Hoshimiya, the cousin of former Daily Magi columnist Kate Hoshimiya. "Cousin Kate told me a little bit about how the scouting thing works. We're escorted by a number of university staff, we get to stay in a good hotel, all the meals and transportation is on the house, and we have tutors so that we don't miss an exam or a lecture. "I thought, this is going to be a lot of fun to check out the team that could be who we face. Personally, I want Oklahoma State to win to make things interesting, but if the Sooners win this one, we have to figure out their strengths and weaknesses and let the coach know. I get to learn a little bit more about the game. So awesome; I can't wait!"